Distance : 2.8 miles, approx. 2.5 hours one way. 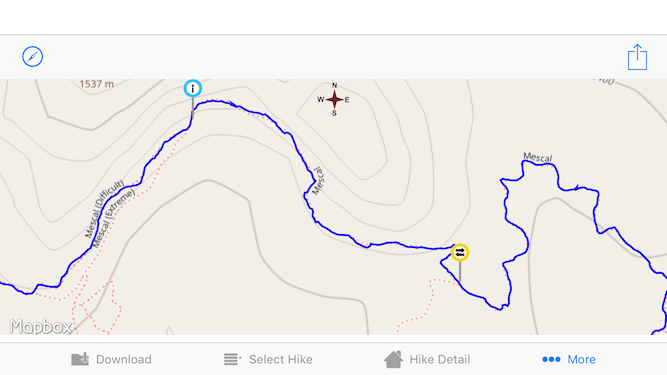 This trail features a great trip around Mescal Mountain and the views are fantastic. We picked the Long Canyon trailhead to break Mescal into two hikes. We call this one Mescal-Deadman and the southern hike Mescal-Devils Bridge. Download them both for a full day adventure. We measured a 197 foot elevation change.